We had RIK (Returnees in Kanagawa) meeting on Saturday Jan 13. 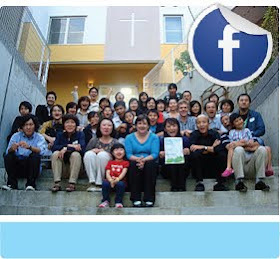 Missionary Hiromi Soma came and shared her plans to serve with OMF in Birmingham, England. She leaves to serve in England on January 16th. It was a rare chance to hear from a missionary just before being sent. Hiromi is returnee and a core member of RIT (Returnees in Tochigi) We met＠FCBC YOKOHAMA a five minute walk from Yokohama station. In the same building just above the Oasis Yokohama Store.